If you are on a desktop, all you have to do is click this link http://www.refinery29.com/artliner-contest?sub_id=10312 and hit the HEART ICON at the top left corner to submit your vote! If you will be voting through a mobile device, you can change the setting so that you are viewing the full site instead of the mobile version, which will not allow you to vote. 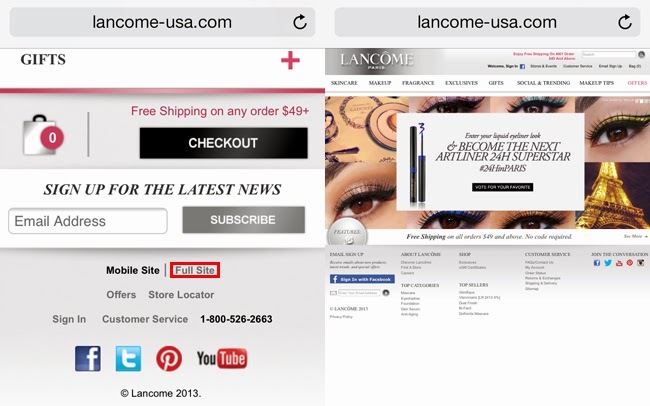 Just scroll down to the bottom of the http://www.lancome-usa.com page and check out the pictorial below for all instructions! Once in mobile view, switch to FULL SIZE view of the site. Then wait for the Artliner feature to show and click to vote! 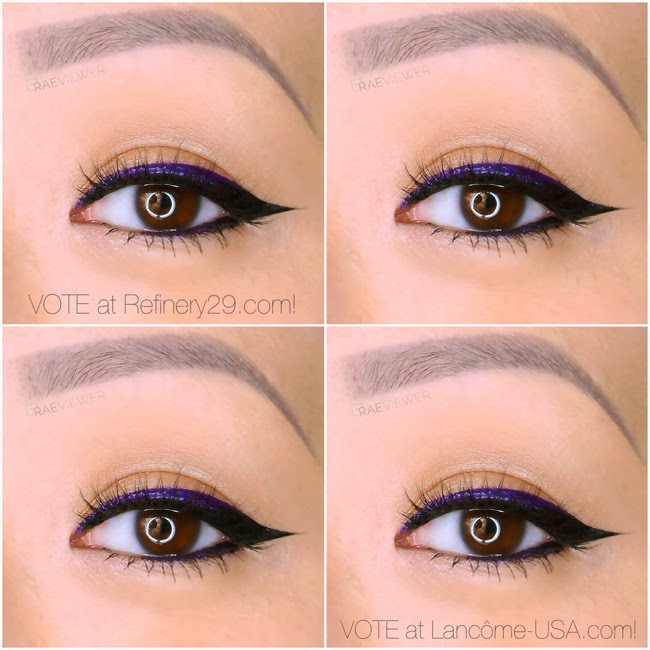 It will direct you to the voting page, so all you have to do is scroll down to see the entries and click on the mint colored heart to vote for my purple ombré eyeliner look! Aww I wanted to vote but it's closed! Well done though for reaching the finalists :) This is such a pretty look, and I'd love to recreate it! 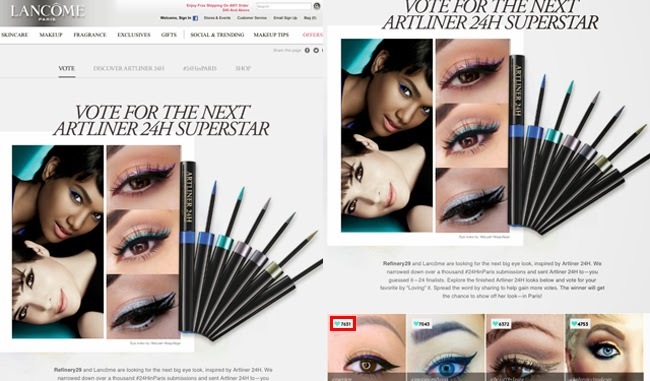 Which shade of Lancome Artliner did you use?